Spearing rubber balloons from a racing speedboat is a new water sport which has proved as popular with spectators as with the participants. 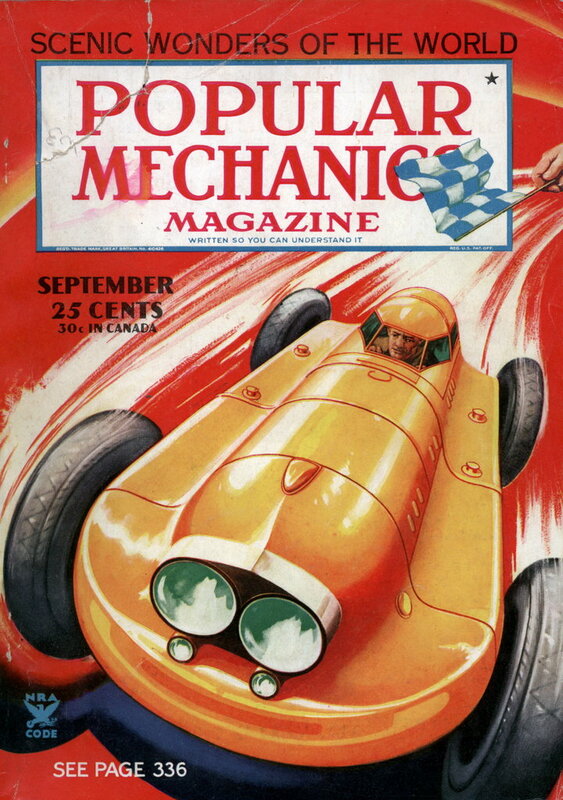 Two-men racing runabouts compete in this sport, going five times around a one-mile course. Across the starting line a wire is stretched and to it cords with sinkers tied to the ends are fastened. The inflated balloons are suspended from the lead-tipped cords just over the heads of the racing crews. The boats start in the manner of a regular race. 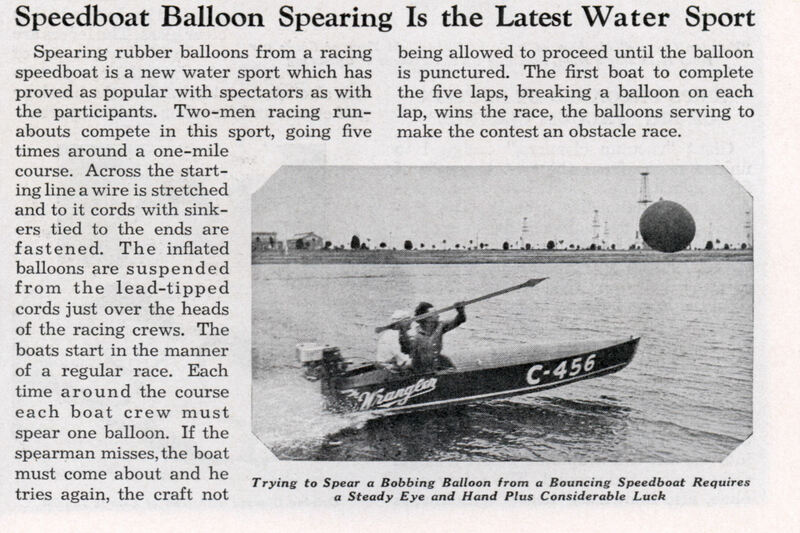 Each time around the course each boat crew must spear one balloon. If the spearman misses, the boat must come about and he tries again, the craft not being allowed to proceed until the balloon is punctured. The first boat to complete the five laps, breaking a balloon on each lap, wins the race, the balloons serving to make the contest an obstacle race.